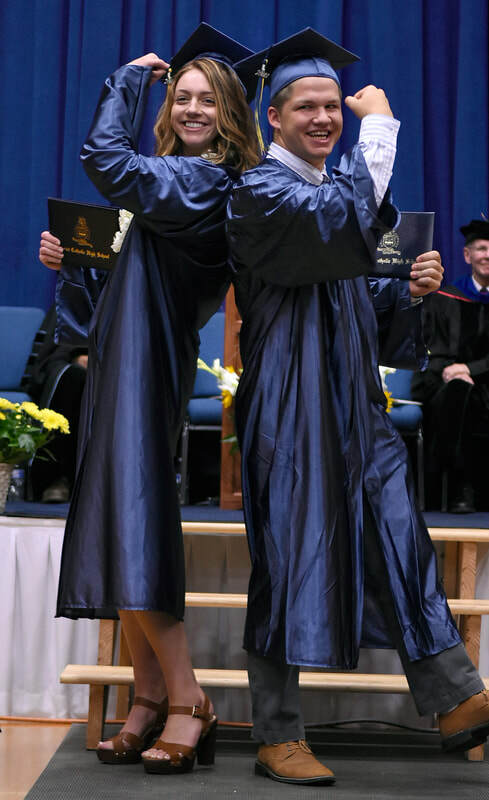 Excellence in academics is not just about our students’ impressive test scores, small class sizes, full schedules, or the fact that our graduation rate is above 98%. With over 500 motivated and involved students, we also offer the full high school experience. This includes sports, clubs, theatre, music, fine arts, photography and all the most memorable aspects of high school: homecoming, prom, dances, talent shows and more. So what will you do at Marist? 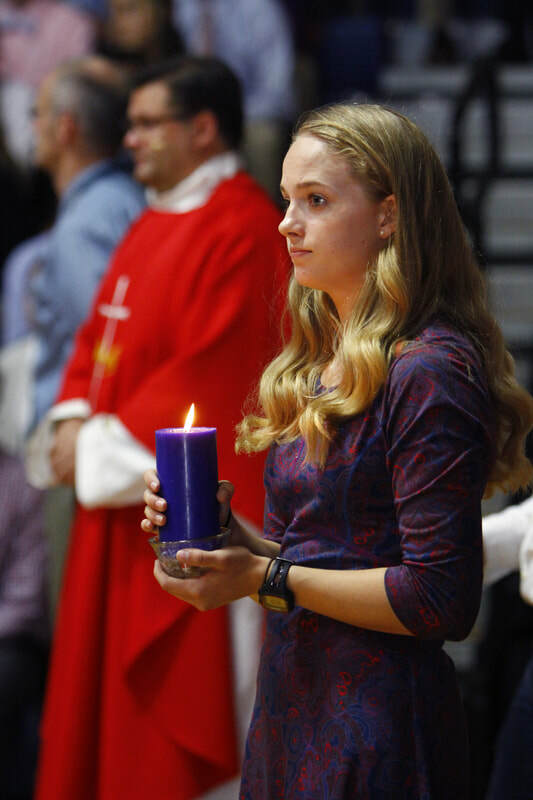 ​At Marist Catholic High School, our faith is woven into everything we do, animating our mission to be a Christ-centered, welcoming community committed to academic excellence and preparing students to lead and serve others. With Catholic Christian faith as the foundation, education is a process that pursues wisdom and truth. Our curriculum and retreats are characterized by a palpable sense of self-discipline, graciousness, charity and hope. A Marist education inspires students to become moral, caring and competent leaders who, with a sense of joy and zeal, place their gifts at the service of the common good and pursue a social order that is attentive to the welfare and rights of others. Marist’s Christian Service Program seeks to move the classroom discussion of the personal and social components of a Christian lifestyle into real-life instances of service and ministry. Students are directed to service projects that promote works for justice and peace. 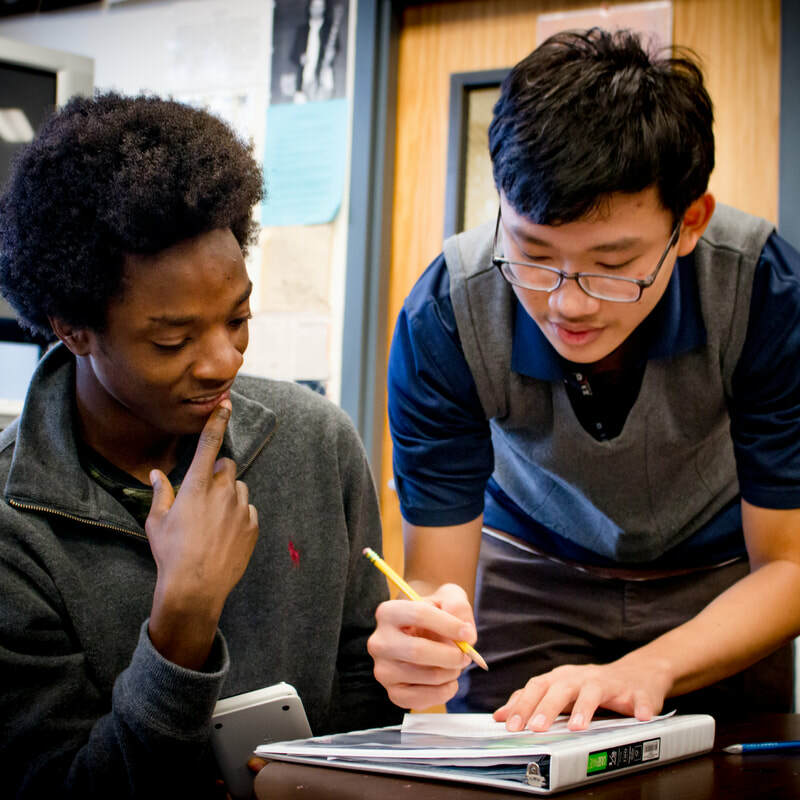 Marist offers 12 AP courses: Biology, Calculus AB, Chemistry, European History, Government & Politics, Language and Composition, Japanese 3-5, Psychology, Literature & Composition, Physics, Statistics, U.S. History. College Now credits earned will transfer to most 4-year colleges and universities. AP courses listed above are also College Now courses. * Additional offerings are: Anatomy/Physiology, Contemporary Mathematics, Intermediate Algebra, French 3 & 4, Pre-Calculus, Spanish 3, Spanish Culture & Conversation 1 & 2. *AP Language & Composition is not a College Now course. Leadership opportunities abound at Marist, from Student Council to the National Honor Society, to a host of clubs and sports. The great majority of our students participate in at least one of the 50+ extracurricular programs offered. Cross Country, Football, Soccer, Volleyball, Water Polo, Basketball, Swimming, Baseball, Golf, Lacrosse, Softball, Tennis, Track & Field, Cheer, Skiing, Pétanque, Shooting, Ultimate Frisbee. Mr. Spartan, Student Ambassador Team, Retreat Team, Student Council, National Honor Society, Model United Nations. The Christian Leadership Course (CLC) is a two-semester junior/senior theology course that is designed to give students the opportunity to learn basic skills in leadership and peer facilitation within a Christian context. Students develop these skills through activities, classroom lecture, assigned reading and directed service to the school community, the freshman class, and through other projects. With a class size averaging 21 students, you will have a close working relationship with your teachers. You will be welcomed and accepted into the Marist family and will have an opportunity to thrive in a safe and supportive environment.With an abundance of service, leadership, activities and sports available, you will find a home here. Be known. Be a Spartan.